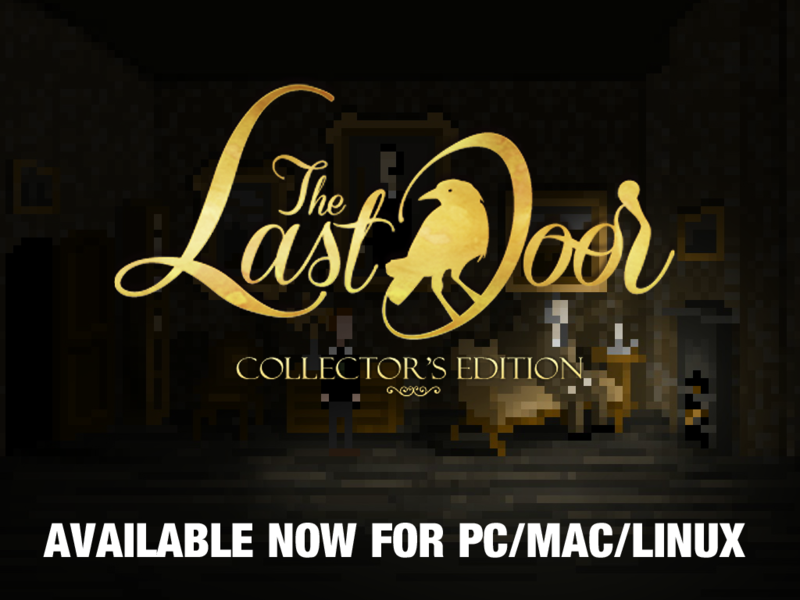 The day has finally arrived: The Last Door – Collector’s Edition is now available worldwide! Jeremiah Devitt lives a lonely life dedicated to his work, teaching Classic Philosophy at University. He doesn’t receive many visits and usually spends most of his time immersed in his studies. When he receives a cryptic letter from an old colleague of his from his boarding school days, his mind starts recalling memories of horrifying events that took place there. He pays his friend a visit at his manor but soon finds himself set upon a dark path he thought he had once escaped. Hailed by Penny Arcade as “A love-letter to H.P. Lovecraft,” The Last Door – Collector’s Edition brings its unique blend of horror and adventure gameplay into one solid package for the first time. Containing all four episodes of the game, including four new “mini-sodes”, this Collector’s Edition also brings with it improved graphics, sound, and new content not featured in the original, as well as offering the full soundtrack for free. You can currently find this thrilling game on Steam, GamersGate, GOG.com, the Phoenix Online Studios store, and many more.. With its low-res graphics and high-suspense, The Last Door – Collector’s Edition is a must-have for any fan of adventure games or the horror genre.